I can't believe it's January 31st already -- where did the month go? I'm definitely in a Valentine mood now -- only two more weeks! Here are a couple of treat holders I made this morning. 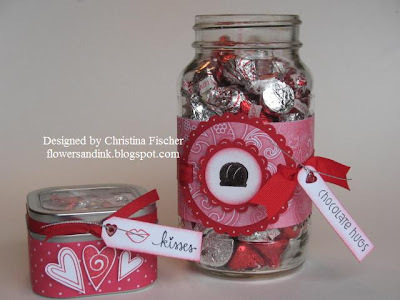 The window tin is from Gina K. Designs, and the Ball jar once held Classico pasta sauce. 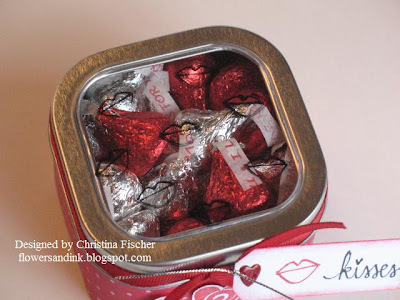 The stamp set is Hugs and Kisses, from the Kim Hughes Collection by Cornish Heritage Farms. The Ball jar was covered in Elegant paper from the Serendipity Blue Boutique Collection by Sassafrass Lass. I used several circle punches, then I added details to the scallops with a white gel pen. 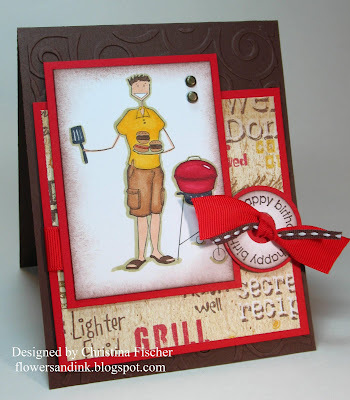 The chocolate image was stamped on the center circle with Chocolate Chip Craft Ink and heat embossed with Clear EP. The tag sentiment was stamped in Chocolate Chip ink, and one end was rounded with a Corner Rounder. I sponged around the edges of the center circle and tag with Real Red ink. I covered the window tin with paper from the Prints Pack (SU! Level 1 hostess set). I stamped and cut out the hearts and mounted them on dimensionals. The lips image was stamped on the window in black Stazon, and the tag was stamped in Real Red and Basic Black. I clipped the corners on one end and sponged around the edges with Real Red ink. The heart eyelets on the tags are from Close to My Heart. Happy Monday! I hope you had a great weekend! Ours was pretty uneventful. We have been without countertops since Wednesday, and our new range is still not completely installed, so I didn't have to cook! We did some work around the house (mostly in the kitchen), and we had a lot of take-out meals! Our new counters come tomorrow -- woo hoo!! I'm looking forward to getting all our stuff off the dining room table and back where it belongs! I had a chance to check out the Technique Challenge at SCS this morning. The technique is Dahlia Fold. 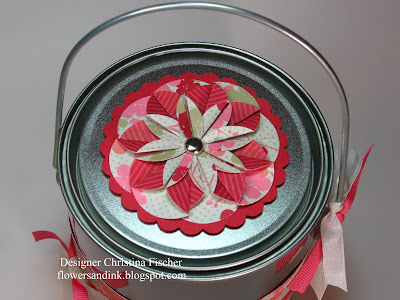 It creates a beautiful paper flower perfect for a card or other project. 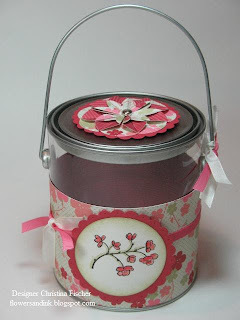 I decided to use my flower on the lid of this tin pail. I used 1 3/8" circles for the individual petals. Eight of them fit perfectly on a Giga Scalloped Circle. I used a silver circle brad in the middle, and I attached the circle to the lid with dimensionals. 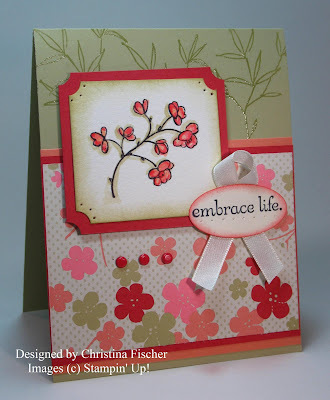 I used Embrace Life and Ginger Blossom dp so I could coordinate it with this card I made last week. Our neighbor's father passed away last week, and the funeral was today. Since my kitchen is out of commission, I'm sending over this "dinner in a bucket" instead of a cooked meal. I filled the pail with gift certificates and gift cards to a local restaurant and ice cream parlor (Skyline Chili and Graeter's Ice Cream -- yum!). Hopefully they can enjoy a night out this week. Christine at All That Scraps is having a BIG sale to make room for new products! 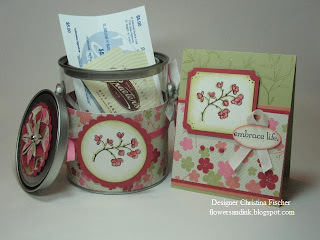 Today's Limited Supplies Challenge is to use leftovers -- scraps of paper, leftover ribbon, etc. -- on your project. Luckily for me, I haven't cleaned up my table for a while, so I had a lot of stuff to use! ;) The scraps of paper, cardstock and ribbon were left from previous projects, and I already had the image stamped and sitting there waiting to be colored. I colored her with Copics and added Stickles to the skirt and puddle. To create the scallop, I picked up my SU! 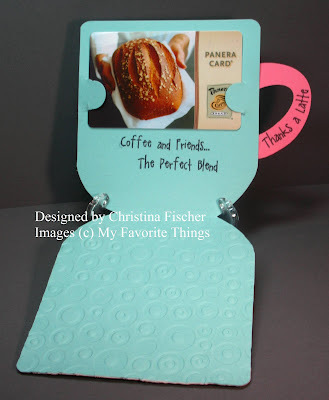 Corner Rounder (also sitting on the table from a previous project) and scalloped the front edge of the card. The flowers are Sweets from Making Memories. I set white eyelets into the small ones and used my scrap of ribbon on the large one. Hello! I hope where you are it's warmer than it is here!!! The high temperature today is only going to hit 19 degrees F, and overnight it's going down to 8! I know some of you are in places that are MUCH colder! It's been like this all week -- I'm really ready for spring! Enough of my complaining -- on to my card. This one is 4.5" square. 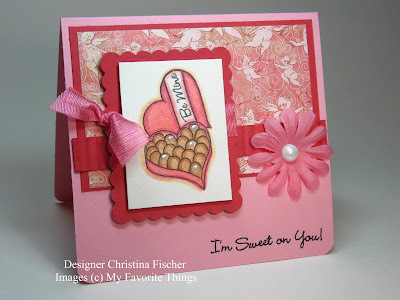 I wanted to use my new set from My Favorite Things, Be Mine, so I paired it with this week's sketch challenge on the MFT Forum at SCS. The image is stamped in Brilliance Graphite Black on SU! Shimmery White cardstock and colored with Copics. I added some Liquid Pearls to a few of the chocolates for a little extra yumminess! The scalloped rectangle is actually two scalloped squares punched with a Giga Scalloped Square Punch. I overlapped them and covered the seam with some shimmery two-tone ribbon by May Arts. You may not be able to tell from the photo, but the narrow strip of Ruby Red cardstock is crimped. 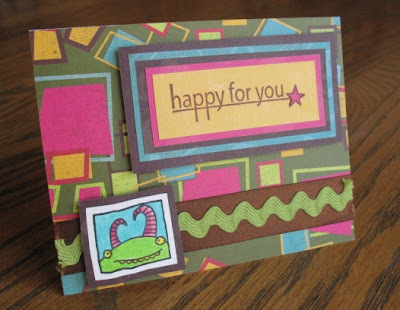 Tip: a quick and easy way to add some texture to a project is to crimp part or all of a piece of cardstock. This was the first time I used my new BasicGrey Two Scoops 6x6 paper pack -- I can't wait to show you some more of it! 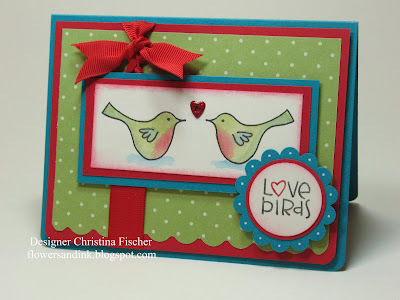 The colors are so sweet -- perfect for Valentine and spring projects! Hello! I hope you're having a good day! I'm happy to report that my mojo is returning a little. Whenever I get in a rut, I typically turn to sketch challenges since most of the thinking is done for me! 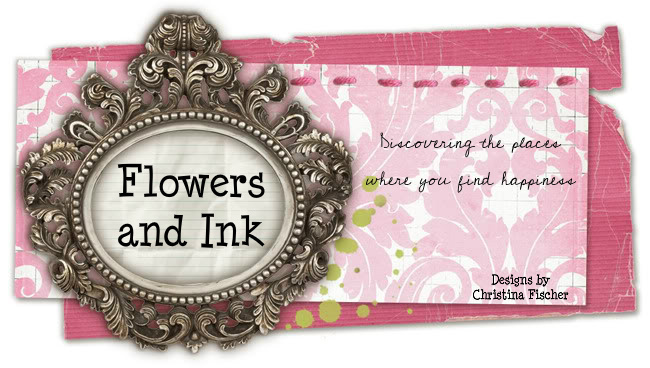 There are so many great sketches out there - on Splitcoaststampers and on several of my favorite blogs (Jen del Muro, Beate Johns, Lauren Meader & Amy Rysavy just to name a few) - so there is always help when I need it! This time I turned to Card Positioning Systems. At CPS there is a new sketch each week, and the design team has great examples to get your juices flowing. Luckily for me, this week's sketch (CPS #48) is a pretty simple one. Don't forget to take advantage of the inspiration all around -- sometimes that's just what we need to jump start our own creativity! Thanks for coming by today -- have a fantastic day! I stamped the background image in Versamark, then I heat embossed it with clear EP. The main image was stamped in Basic Black on watercolor paper, then I colored it with my Aquapainter and ink from the ink pad lids. There is sponging around the image panel and sentiment oval. I pierced on the corners of the image panel and under the sentiment, then I added ribbon and a trio of brads. I'm hoping to get back into a stamping groove this week! As always, I SO appreciate you stopping by. Your comments and encouragement keep me going! :) Have a fantastic day! Hello! I hope you're having a good day! I have a card to share which features Little Penguins by C.C. Designs. Aren't they just too cute? The heart and sentiment are from Love Ya Much by C.C. Designs. I colored the penguins using Prismacolor Pencils and Turpenoid, then I added Stickles to the ground and heart. 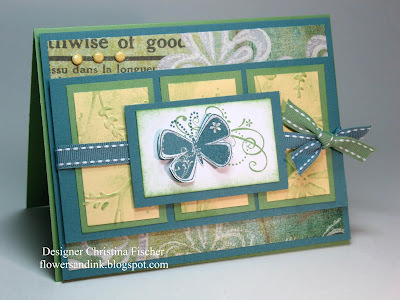 The Ways to Use It Challenge today is to use embossing powder. I stamped the flourish (from Winterland by BasicGrey) in white craft ink, then I heat embossed it with white embossing powder. I stitched around the Cosmo Cricket Hey Sugar paper (I *love* that paper), then I created a triple scallop with my corner rounder. I added some dots to the bottom scallop with a white gel pen. Primas, ribbon, and brads finish the card! I have some new goodies I'm dying to play with -- new SU! sets and papers, and BasicGrey Two Scoops paper and embellishments. I'll see what I can come up with -- I hope you'll stop back to check on me! :) Have a wonderful day! 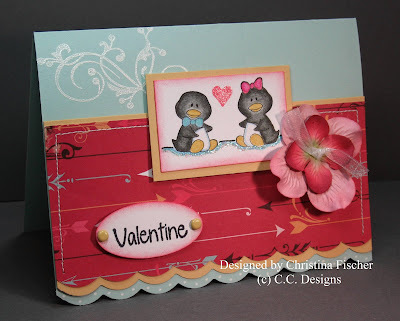 Tomorrow I'll have a Valentine card featuring those adorable penguins from C.C. Designs. I hope you'll come back to visit! Have a great day!! I'll have some more projects to share with you tomorrow -- I hope you'll stop back! Have a fantastic day! Well, I couldn't stand it anymore -- I went to the Target $1 Spot and came home with a cartload of little mailboxes! 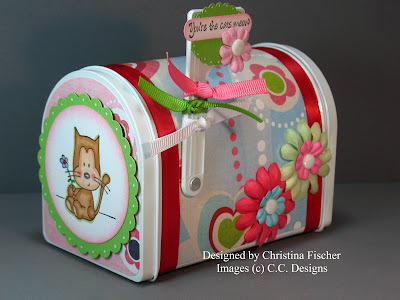 I've seen so many cute altered mailboxes on SCS and other blogs, so I had to try it myself! C'mon, at $1 each, how could I NOT, right? 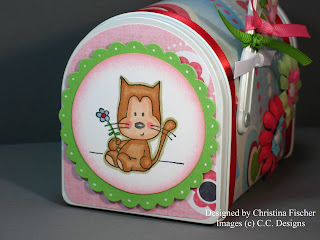 The stamps I used on this mailbox are from one of C.C. 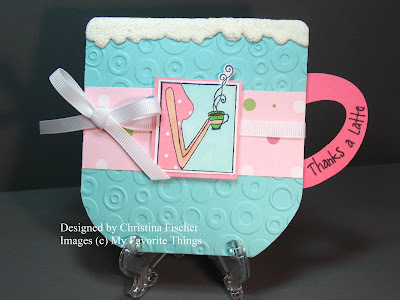 Designs' new Little Bit Kits, Love Ya Lots. What I like about these sets is that they can be used year-round, not just on Valentine projects. This one would be perfect for a friend, daughter, sister -- any special person! I was at a party last night -- the release party at the My Favorite Things Forum at SCS. That design team cracks me up -- there was a lot of good-spirited teasing going on in there! Part of the evening was the Guest Designer Challenge -- to make a project that isn't a square or rectangle. I made this card for the challenge -- it was a fun one! I started with a 4.25" x 4" card base. 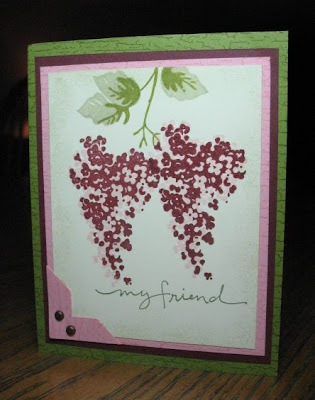 With the fold at the bottom, I ran the front of the card through my Cuttlebug with the Spots & Dots A2 embossing folder. I then used a corner rounder on the top, and I traced around a can to round the bottom corners. To make the handle, I used my SU! Large Oval Punch, then punched around that with my Marvy Mega Oval Punch. The "foam" is Liquid Applique, heated to puff it up. The MFT set I used is Hot Stuff. I paper pieced her dress and colored the rest with my Copics. One of the benefits of the clear stamps is that you can bend them to create a curved sentiment -- that's what I did on the handle. I made the inside a gift card holder by using my Slit Punch, but you could just leave it alone and write a message inside! To close the card, I just tied white grosgrain around the back, brought it to the front and slid it behind the image panel (it's raised on dimensionals for that reason), and tied a bow. This card will fit in a regular A2 envelope, but it's definitely not a regular card! :) It was fun to make! Thanks for visiting today -- I do appreciate it!!! :) Have a wonderful day! Hello! I realize it's been a few days since I last posted. It's been a busy week so far -- we've had the usual practices, games, and homework, combined with trying to pack up our Christmas things and get ready to have Chris's family over this Friday night. We'll be celebrating his dad's 75th birthday! Also, last week, a car accident took the life of the daughter of Kyle's Freshman basketball coach. She was 18 years old. The funeral service was last night. Although it was heartbreaking and difficult to attend, it was also a beautiful celebration of a young life. She graduated high school last year with the daughters of several of my friends, so it was very difficult to see all those girls in their grief. In addition to her father being a long-time basketball coach at Kyle's high school, her brother plays basketball on the JV and Varsity teams. Kyle, along with the rest of the basketball players, sat in a section near the family in their white shirts and ties. It was amazing to see the outpouring of love given by those teenage boys to their grieving friend. The family used a butterfly to symbolize her life. The theme was used throughout the service, from the programs to the photos to the eulogy. I came home and made this card to send to the family. 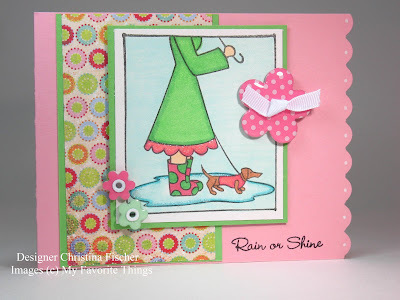 The colors are from yesterday's Color Challenge at SCS, and the layout is Jen del Muro's Sketch for You to Try. The banana panels are Cuttlebugged, and I sponged Wild Wasabi ink on those panels and around the center image panel. The butterfly was stamped twice, once on the panel and a second time on a separate piece of cardstock. The second butterfly was cut out, and I used my Quickie glue pen to add Dazzling Diamonds glitter to it. I folded up the wings and attached it to the panel with a glue dot. I'm hoping to get a little time in the next couple days to do some more stamping, so I hope you'll come back to visit. Thanks for stopping by -- and if you have kids, hug them a little tighter today. I have another card to share that I made with stamps from My Favorite Things. I'm really having fun with these sets lately -- they're much more fun to color with Copics! *grin* By the way, thanks Mom and Grandma for the Christmas money!! Since it's been so darn cold and snowy here (and in many places lately), I was thinking how nice it would be to be inside on a cold evening with a glass of liquid warmth! It's Girls' Night Out at the cafe -- so pretend you are there at the table with me, okay? 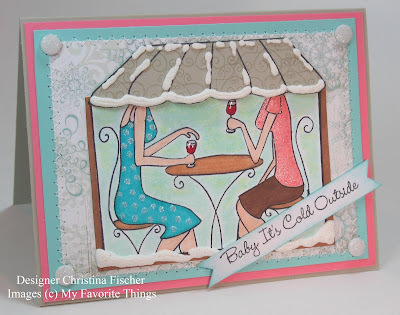 The sentiment is from Baby It's Cold Outside, and the other images are from At the Cafe. I used the corner scroll image to create the pattern on the awning -- I thought it looked like the curly snowflake pattern on the Figgy paper. I used Liquid Applique for the snow, Crystal Effects on the glasses, and Stickles on the dress and shirt. I machine stitched around the dp and added Glitter Dots to the corners. Caroline: "Did you make that card? Mom: "Yes. Do you like it?" Caroline: "Where did their heads go??" Mom (laughing): "I don't know!" I do love MFT's Headless Woman. She could be any of us, you know? Most days I feel like a chicken with my head cut off anyway! :) Thanks for coming by today -- have a wonderful day! I have had this card in my head since I got this set, Rain or Shine, from My Favorite Things. I finally had some time to make it happen today, plus I got to use my new Copics! 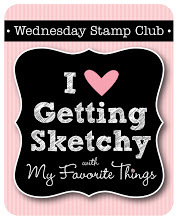 :) I used this week's Sketch Challenge on the MFT forum at Splitcoaststampers (I turned the sketch on its side). The sentiment is computer generated, and the heart is from Love Ya Much by C.C. Designs. I colored the image with my Copics and added some Stickles to the boots and puddle. I sponged around the white circle and the image panel with Regal Rose ink. To make the umbrella, I first inked it with Basic Gray, then colored over it with my gray Copic and colored in the polka dots with pink. I cut it out, covered it in Crystal Effects, then popped it up on dimensionals. 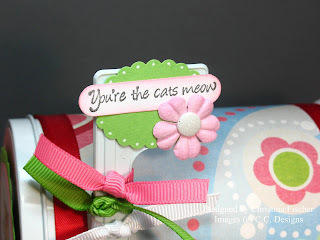 The gorgeous two-tone ribbon is from May Arts. I love the way it shimmers! 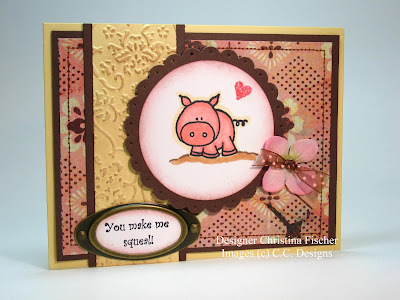 This little piggy is from the C.C. Designs Little Bit Kit Love Ya Lots. That set and Love Ya Much will be released tomorrow at All That Scraps. So far I've shown you the birds, the lion, and the bunny, and now here's the pig! The other two images are Lucky and Lulu -- I'll have some samples with them, too! 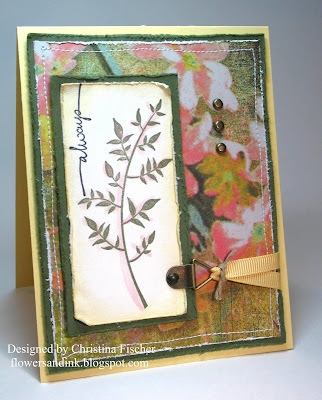 I made this card for today's Ways to Use It Challenge at SCS -- using flowers. There are flowers on the Stella Ruby paper, and I embellished with a Prima flower. I did some sponging and some machine stitching, and I used my Cuttlebug on the narrow panel. There are Cotton Candy Stickles on the heart. Here's another peek at the new C.C. Designs Little Bit Kit Love Ya Much. It will be available at All That Scraps this Friday, January 4. 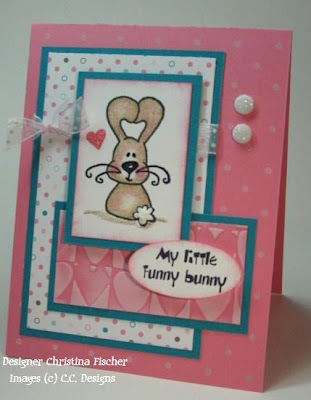 Isn't this bunny too cute? The layout is today's Sketch Challenge at SCS. The paper is from last year's holiday mini catalog -- one of my resolutions for this year is to use the paper I've been hoarding!! :) The image was colored with Prismacolor Pencils and OMS. I used Liquid Applique on his tail, Sakura Clear Glaze Pen on his facial features, and Candy Cane Stickles over the heart. For the next couple days I'll have more sneak peeks of the new C.C. 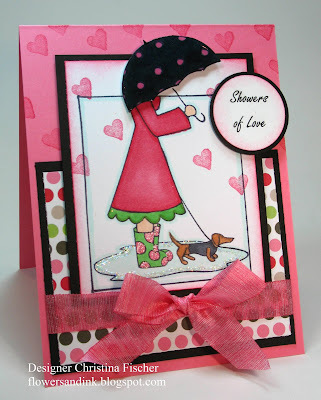 Designs stamps being released this Friday, January 4 at All That Scraps. I hope you'll stop back! Thanks for visiting!